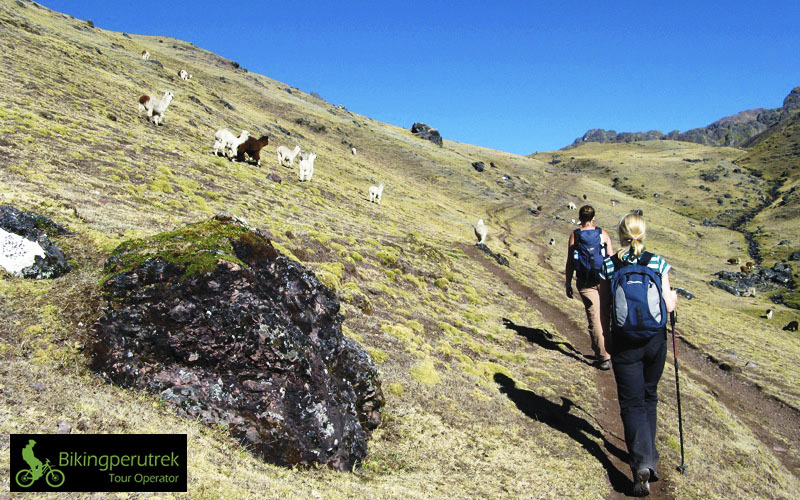 The Lares trek ( Inca Trail) offers a combination of stunning scenery, traditional cultures, and Machu Picchu on the 4th Day. 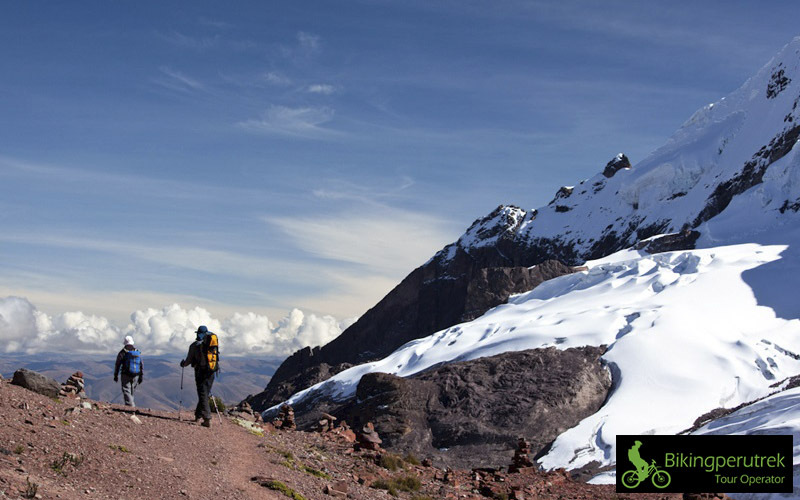 The trek will take you through stunning Mountain scenery, over high passes, and you will spend two nights near traditional Peruvian Villages. 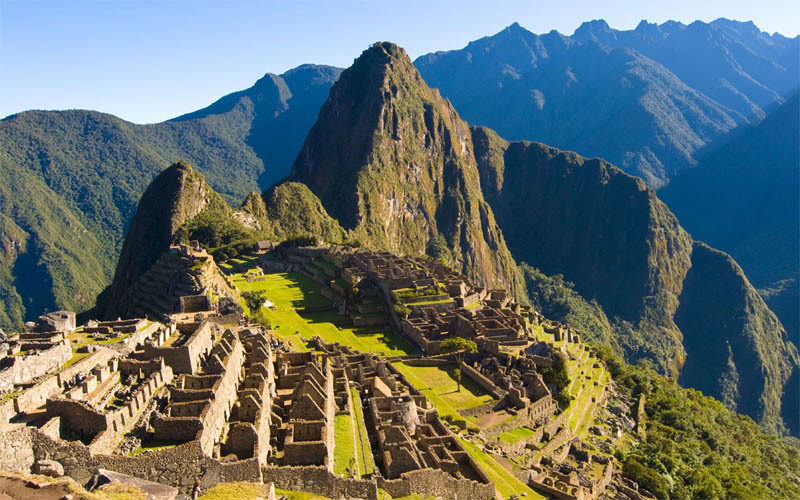 The fourth day you will see the treasures of Machu Picchu with your experienced guide. 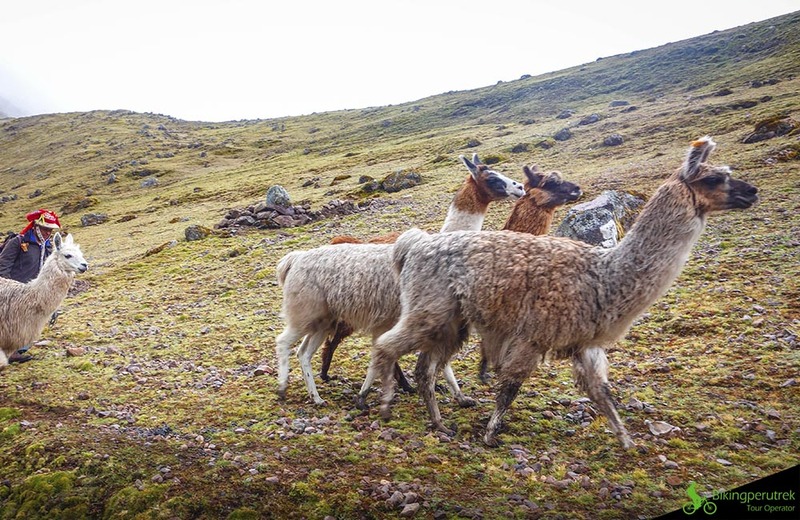 Altitude: 2850 – 4400 m. / 9350 – 14436 f.
At approximately 5:30am we will pick you up at your hotel to set course to the village of Lares where we will start hiking. During this journey we will make a stop in the village of Calca, where you will be able to visit the local market and buy breakfast or other supplies you forgot. Your guide might advise you to buy some bread to hand out to the children you will meet during the trek. When arriving at Lares we will visit the hot springs where you will be able to enjoy the hot water while our cooks prepare a wonderful lunch. After lunch we will start our hike towards the first campsite in Huacawasi (3600m/11811f). 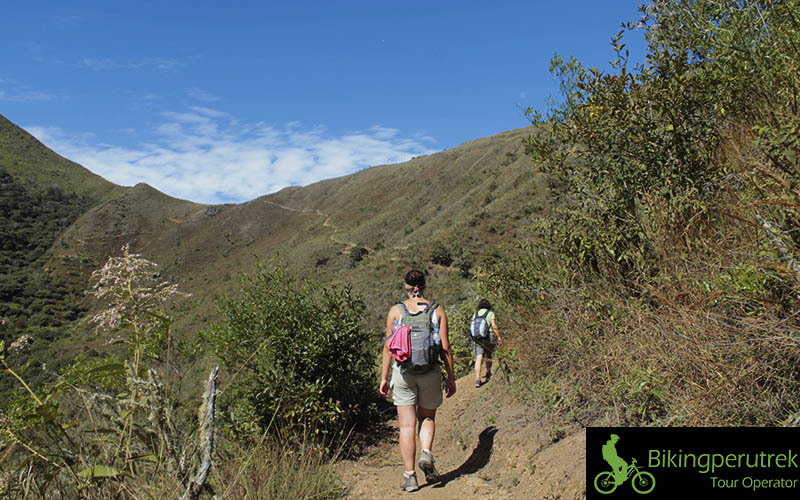 During 3 hours you will walk gradually uphill so that you get a good training for the next day when we will reach the highest point of the trek. The first night we will spend the night at the house of our horsemen who are joining us on the trip. At arrival your tents will be ready and you will receive popcorn, sweets and some hot thee before having dinner. After a nutritious breakfast we will start hiking towards the highest point, the pass of Torontoy at 4400m or 14435 feet. The hike will take about 4 hours and will be very steep uphill. Of course an emergency horse will accompany us so that everyone will certainly be able to reach the top. 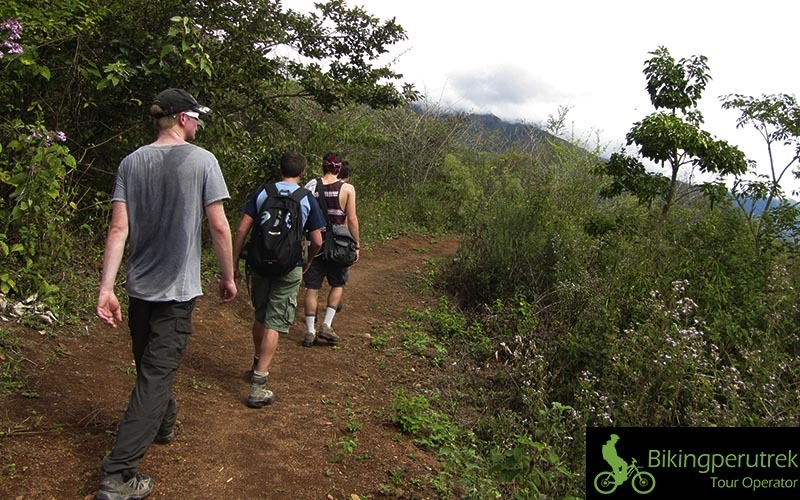 During this trek you will be able to enjoy enormous mountains, a patchwork of agricultural lands and breathtaking views. Be aware that we will reach great heights and the weather can be very cold. After reaching the highest point we will descend and pass a beautiful lagoon before having lunch next to the river. You will be able to recuperate while our cooks prepare a delicious lunch for you. Next we will descend further through a forest where you will be able to enjoy the “Queuñas” (Polylepis),a typical three from Peru. This walk will take about 1 hour before reaching our campsite at Miski Unu (3550m/11646f). A wonderful place in the middle of nowhere where you will receive hot thee and some snacks upon arrival before having dinner. that will end in the Sacred Valley of the Inca’s. Watch out, when walking in the forest there are lots of mosquitos. We will enjoy our last lunch in Yanahuara where we will say good bye to the Horsemen and cooks. After lunch we will take a local bus to get to Ollantaytambo. 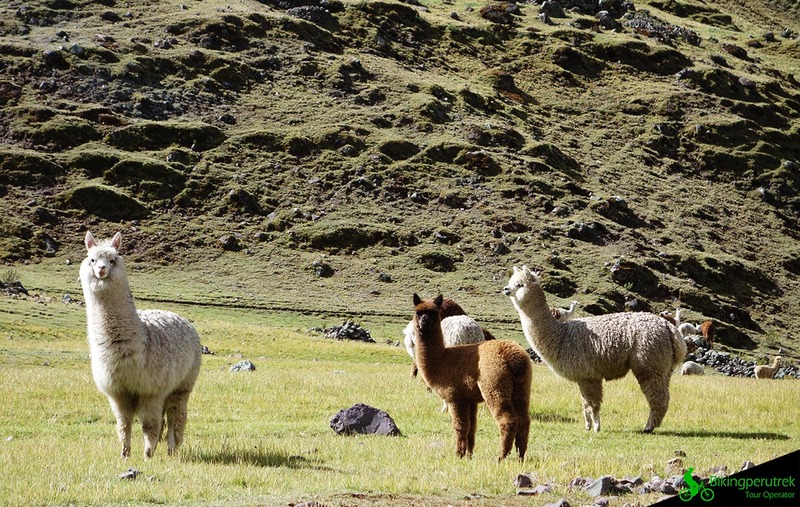 We will visit the beautiful town of Ollantaytambo before having dinner at a local restaurant. At 7pm we will take the train to reach our final destination of the day, the town of Aguas Calientes where we will spend the night in a hostal or hotel. We will leave our hotel after breakfast at 4:30 am and head for Machu Picchu (2400m/7874f) we hike for 1.30 hours. We will arrive at the citadel around 6:00 am. 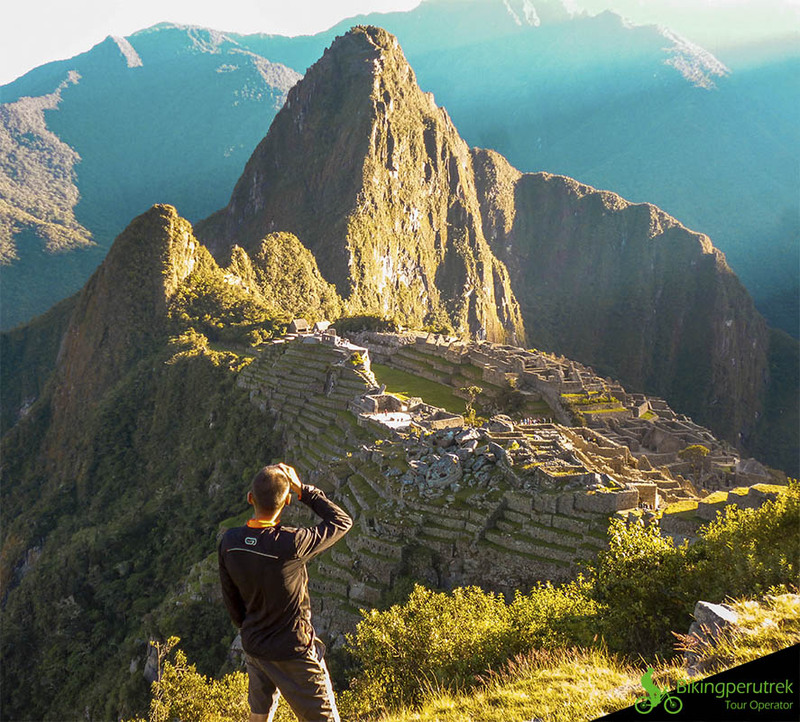 After a guided tour around the archaeological site, including information about life and culture of the Incas, you will have enough time to enjoy Machu Picchu and Wayna Picchu (2750m/9022f) on your own. We will leave Aguas Calientes by train either at 2:55 pm or at 6:10 pm. Until then, you will have time to have lunch in one of the nice restaurants. Moreover, you can visit the hot springs in Aguas Calientes to relax a bit. Bus going downhill from Machu Picchu to Aguas Calientes for 12 U.S. dollars or you could have the option to walk down which takes about 1 hour.